XSG Series Revolving/Rotary/Spin Flash Dryer - Changzhou Fushite drying Engineering Co., Ltd.
XSG series rotary flash dryer is a new type of drying equipment developed by our factory on the basis of introducing and absorbing foreign advanced technology. The machine is advanced in technology, reasonable in design, compact in structure, wide in application range, large in production capacity, good in product quality, high in efficiency and energy saving. Raw material is dried, pulverized and sieved in just one device, eliminating environmental pollution and achieving complete machine performance. International advanced technology level. The hot air enters the agitating and pulverizing drying chamber from the bottom of the dryer at a suitable spraying speed by the inlet pipe, and the material is strongly sheared, blown and rotated, so that the material is micronized by centrifugation, shearing, collision and friction. , enhanced mass transfer heat transfer. At the bottom of the dryer, the larger and drier pellets are mechanically broken by the action of the agitator. 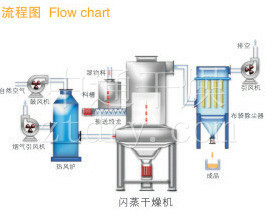 The particles with lower moisture content and smaller particle size are entrained by the swirling gas stream and further dried during the ascending process. 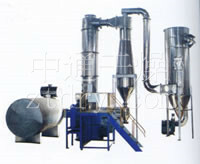 Since the gas-solid two phases are rotating, the solid phase inertia is larger than the gas phase, and the relative velocity between the solid and gas phases is large, and the mass transfer heat transfer between the two phases is strengthened, so the machine has high production intensity. ● A variety of feeding devices are available for selection, the feeding is continuous and stable, and there is no bridging phenomenon in the middle of the process. ●Special cooling device is installed at the bottom of the dryer to avoid deterioration of materials in the high temperature zone at the bottom. ●The indoor air velocity in the drying chamber is high, and the material residence time is short, which effectively prevents the material from sticking to the wall and the deterioration of the heat sensitive material, achieving high efficiency, rapid, small equipment and large-scale production. 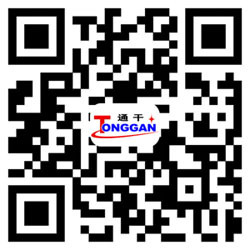 ● Inorganic: boric acid, calcium carbonate, caustic, copper sulphate, iron oxide rust, carbonic acid barium, oxidizing the antimony three times, various kinds of metal caustics, various kinds of heavy metal salt, formating the ice crystal, etc..
●Organic matter: Aunar draw Tianjin (agriculture chemical insecticide ), monthly the Guangxi Zhuang Autonomous Region acid separate, benzoic acid, sour disinfecting red, oxalic acid sodium, acetic acid cellulose, etc. Styrax. ● Pottery: Kaolin , oxidizing silicon, clay two times. ● The dyestuffs: Anthracene quinone, black iron oxide rust, indigo pigment, butyric acid, hydrogen oxidize the titanium, sulphurate the zinc, various kinds of azo dyes intermedia . ● Food: Soybean albumen, glue congeal starch, distiller’s grains , wheat candy, wheat starch .